In its 29th meeting held in New Delhi, the GST (Good and Services Tax) Council has approved cash incentives to promote Digital transactions. The GST Council meeting was chaired by Interim Finance Minister Piyush Goyal. It has announced 20% cashback for digital transactions paid on business-to-consumer transactions using RuPay and BHIM platforms, subject to cap of Rs 100 per transaction. GST Council also decided to start pilot programme to promote digital transactions. GST Council has been established as per Article 279A of the Constitution. It is joint forum of the Centre and the States to make recommendations on important issues related to GST. Union Finance Minister is Chairperson of the council. United Kingdom Government has announced new plans to change law for organ and tissue donation to address urgent need for organs within Indian-origin communities in the country. The amendment in existing law will propose a new system of consent for organ and tissue donation. This will be known as Max’s Law after Max Johnson, a 10-year-old boy who was saved by a heart transplant. The changes in law will try to incorporate opt-in system similar to India, whereby families’ decision to donate organs of their loved one after death is discretionary. The nominating committee of Internet Corporation for Assigned Names and Numbers (ICANN) has selected Ajay Data as new council member of Country Code Supporting Organisation (ccNSO). 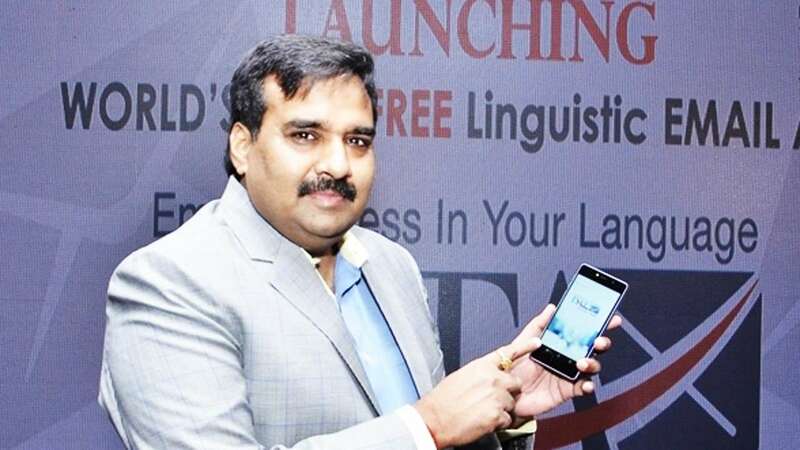 With this, he becomes first Indian to get selected as a member of ccNSO, which is policy development body of ICANN for ccTLD (country code top-level domains) issues and represents all country code top level domain operators from around the world. He has been selected f or two-year term and will take up position during ICANN 63 Meet in Spain in October 2018. He will be representing India at global level and will be also custodian of Asia, Australia and Pacific Islands as member of ccNSO. Union Ministry of Hume Resource Development (MHRD) has approved 122 new research project proposals worth Rs 112 crore for funding under its IMPRINT-II (Impacting Research Innovation and Technology) scheme. These projects were approved at IMPRINT-II Apex Committee meeting chaired by HRD Minister Prakash Javddekar in New Delhi. IMPRINT is first of its kind MHRD supported scheme to address major science and engineering challenges and boost original scientific and technological research in 10 technology identified domains in the country. Computer scientists from Indian Institute of Technology (IIT), Madras have developed first of family of six industry-standard microprocessors under Project Shakti. The initial batch of 300 chips has been named RISECREEK and has been fabricated at Intel’s facility at Oregon, US for free to run Linux operating system. Project Shakti was started in 2014 as IIT-M initiative and part of it is funded by Ministry of Electronics and Information Technology. Joint military exercise Maitree 2018 between Indian Army and Royal Thai Army was conducted in Thailand from 6 to 19 August 2018. It contributed immensely in developing mutual understanding and bonhomie between armies of both countries in order to counter terrorism. It mainly emphasized to hone tactical and technical skills in joint counter insurgency and counter terrorist operations in rural and urban scenario under United Nations (UN). The US space agency NASA on August 3, 2018 introduced to the world the crew of nine astronauts who will fly on American-made spacecraft to the International Space Station (ISS) from the US soil for the first time since the space shuttle’s retirement in 2011. These astronauts are Indian-origin Sunita Williams, Josh Cassada, Eric Boe, Nicole Mann, Christopher Ferguson, Douglas Hurley, Robert Behnken, Michael Hopkins and Victor Glover. The astronauts will be carried from American soil onboard spacecraft developed by entrepreneur Elon Musk’s SpaceX and Boeing Co to the ISS, beginning in 2019. These astronauts will first crew the test flights and then the missions involving both Boeing’s CST-100 Starliner and SpaceX’s Crew Dragon spacecraft. NASA’s Commercial Crew Program aims to facilitate the development of US commercial crew space transportation capability with the goal of achieving safe, reliable and cost-effective access to and from the International Space Station and low-Earth orbit. The world’s first-ever thermal battery plant will be unveiled in Andhra Pradesh by the state’s Chief Minister N Chandrababu Naidu on August 6, 2018. Manufactured by the Bharat Energy Storage Technology Private Limited (BEST), the first-of-its-kind batteries will aim to boost renewable sources of energy production and reduce the dependence on non-renewable fossil fuel-based energy generation. Through thermal batteries, BEST will look to store energy that can power telecommunications, commercial enterprises, electric vehicles as well as charging systems. By 2025, BEST aims to expand the capacity of its thermal battery plant to 10GW. Indian shuttler PV Sindhu on Sunday settled for the silver medal after losing her BWF Badminton World Championships final clash to Spain’s Carolina Marin at Nanjing, China. Marin claimed a slice of history as the Spaniard became the first woman singles player to win three gold medals at World Championships. She had won the title in 2014 and the 2015 Jakarta edition. The Badminton World Federation (BWF) is the international governing body for the sport of badminton founded in 1934 as the International Badminton Federation (IBF). It has 176 member countries. 1. Who is the Chariperson of the GST Council? 3. When was the project shakti started? 4. With which country India conducts joint-military exercise Maitree? 5. Where is the first thermal battery plant going to be unveiled? 6. When was the International Badminton Federation (IBF) founded? 7. Who won BWF 2018 championship?